Would you believe we still have pork from our piggies? They were the gift that just keeps on giving! 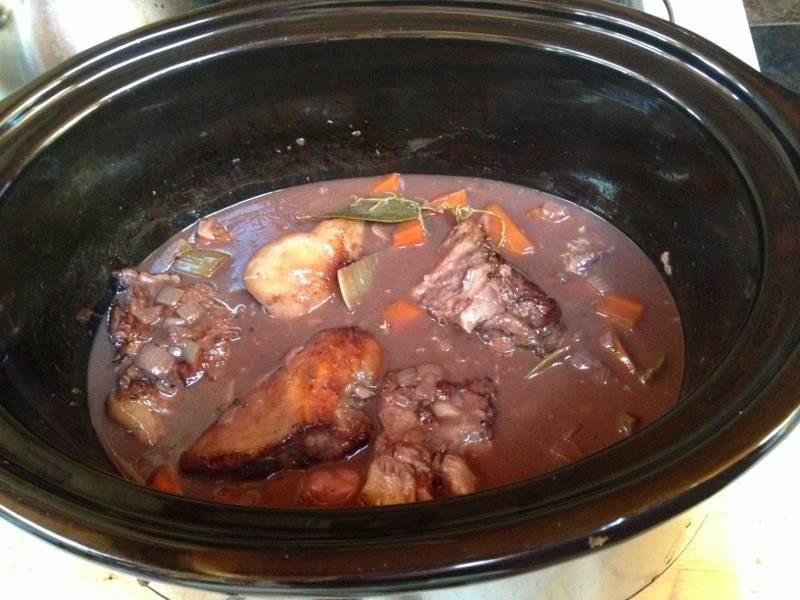 Apart from some chops and roast, I found the pork cheeks in the freezer, and have made nigel slater's recipe several times now -it is delicious. Our porkers were quite large, so one cheek actually gave us two meals. You would probably need to order cheeks from your butcher, but this simple tasty recipe is worth that extra effort. I have made this in both the oven and in my slow cooker, with the same delicious results.